An ideal gift for the avid traveller, this compendium chronicles the pleasures of flying in style with copious illustrations and evocative text. Far from the check-in lines of regular air travel, we get a peek at expansive airport lounges with every comfort and convenience. There is everything from ergonomic workspaces to shower and changing rooms…even completely equipped fitness centers. 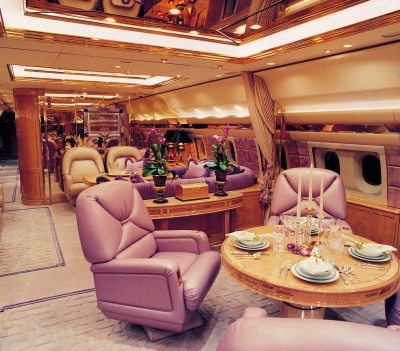 Naturally, the opulence continues on board with luxurious seating and—sometimes—full-scale beds! Not to forget the fine tableware and linens, or the walk-up bar. 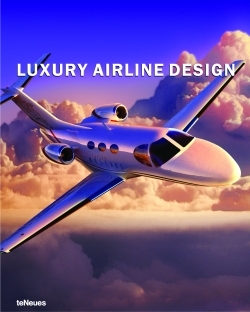 This book also showcases private and business jets, which offer the deluxe décor of a penthouse in the sky. Peter Delius is a producer of books on historical culture and proprietor of a publishing house in Berlin. Jacek Slaski is a producer of photography books, photo editor and gallery owner in Berlin. This extensively illustrated guide will appeal to those who travel in style, as well as to those who aspire to doing so. Very useful before booking a F class ticket or leasing a private jet. Size: 10 1/4 x 12 13/16 in. 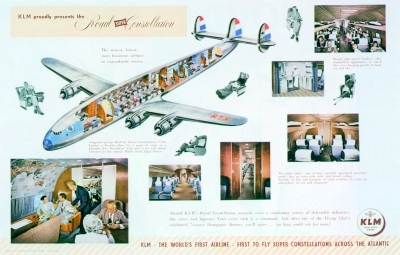 This thick flexicover book lavishly shows all aspects of airline design, tracing significant trends since 1945. The comprehensive pictorial overview takes the reader on a tour of everything from airport architecture and décor to airplane design, construction, and brand identity. The “journey” continues with the many layers of clever and coordinated product design on board—including the cabin and tableware – all contributing to the overall design experience. 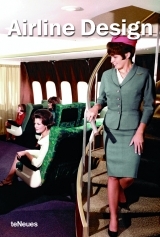 Finally, the editors include a section on airline collectibles, such as hold-all’s, model airplanes and umbrellas, which reinforce and extend the airline’s image. This copiously illustrated guide is both a study in corporate image building, as well as a document of travel in our time.